Welcome back to my newsletter. I have been somewhat off- radar these couple months planting positive intentional seeds. 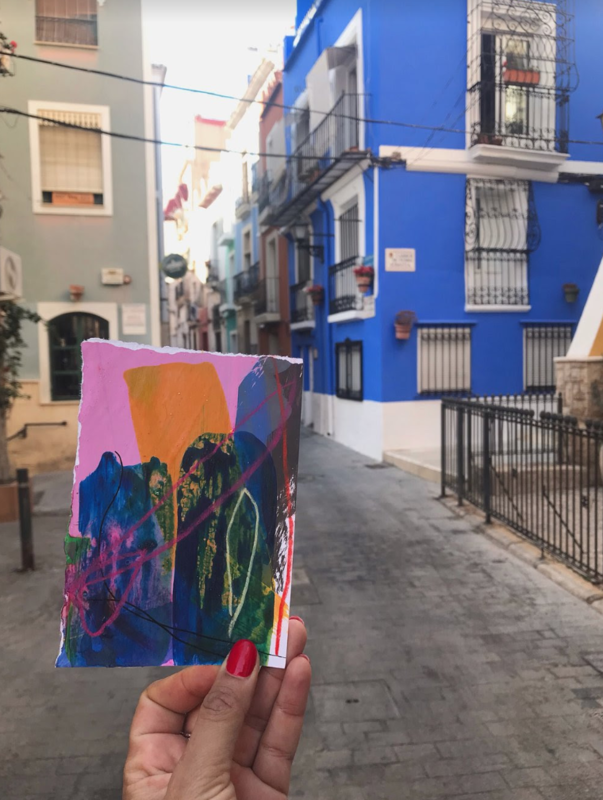 I have been experimenting with my work, exhibiting, reflecting, flying to Spain over my birthday period (as you will read below) and I have been polishing up the brand. I am super duper, cart-wheeling with excitement that my online shop is now LIVE! Hooray! I have implemented a fantastic e-commerce section to my website. I believe that everyone should be able to afford art. When you visit the Shop you will notice that the prices are in their hundreds rather than in the thousands price range. International shipping is available, payments include Mastercard, Visa and Apple Pay. If you are based in London and would rather say “hello” and pick up the work in person without the hassle of shipment that’s fine, just drop me a line. I am always welcome to feedback so please let me know what you think, the good, the bad and the uggers! The good news continues… Trelex is a non profit art residency program based in Switzerland. This organisation has accepted me to stay with them in April and make art. More on this next month. Lastly, I would like to take space and share that I understand January, February and March have been hard months for many of us. There are many reasons for this including the January Blues and planetary activity. Please take care of yourselves, love yourselves, run a bath, light a candle, listen to great music, rest, cry. laugh, eat well, rid yourselves of toxicity (of all kinds) and do something that lifts your spirits. Why does the former precede the latter? Hiked up the Castel Santa Barbara. What a view! I remember being alone on the beach in Venice, LA when I was sexually assaulted and here I was alone again. I was protected. As with all of the works, this product is made with love and is ready to hang bringing positive healing into your space. Available for shipping across all continents. Shipping and packaging costs apply. This product is made with love and is ready to hang bringing positive healing into your space.